A good read + healthy breakfast na mas pinasarap with Star Margarine is the best way to start the day. But sometimes, maaga pa lang, gadgets na agad ang hawak nila. 😣 I think we can all agree that too much screen time is not good for kids. On the other hand, there comes a time when just the right website can be a saving grace. 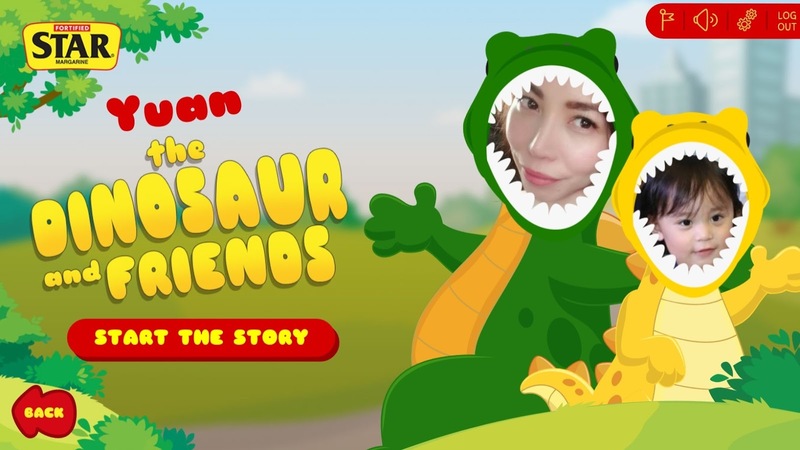 We've just discovered a new website for kids, and that's the Star Margarine's Dino Story. What's it about? 1. Interactive, fun and easy to navigate! It's such a great interactive website with an interface that is super simple and easy enough for my little readers to navigate. Kids can create and re-arrange their own adventures. Moms or older siblings can read stories, with a happy and upbeat music playing in the background. It is super fun, simple and straightforward for kids to use, and they can choose their own adventure, as though they were creating their own story. Just visit https://starmargarine.com/login then sign up. Once signed in, you can Dino-fy yourselves by simply uploading a photo of you and your Star Kid! Then, you can take your Star Kid on a fun personalized adventure by choosing a story. 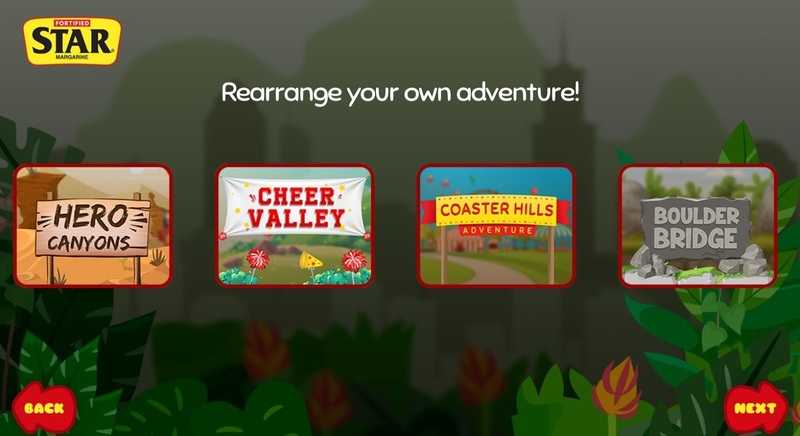 There are four stories kids can choose from; Hero Canyons, Cheer Valley, Coaster Hills and Boulder Bridge. My kid's favorite story is the Hero Canyons! 2. Educational with lots of positive messages for kids. 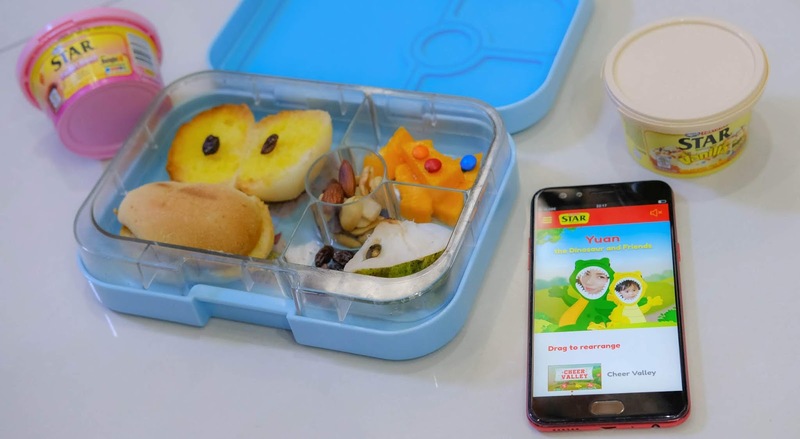 This website brings a fun and engaging spin on learning about proper nutrition and reading in a way that kids will love. That's how my kids learned that their favorite toasty tasty bread with STAR Margarine Sweet Blend with Kid Power Nutrients helps to make their immunity and bones strong. Also, younger kids can learn early reading skills through listening and responding to the stories. Seeing their super cute faces (moms too!) as the main characters in the story definitely grab kids' attention and will engage them in ways they haven't engaged with reading before. Thanks to its kid-centric stories, the site can be an excellent way to introduce kids to new vocabulary words and potentially inspire bigger kids to read more stories on their own. The website doesn't include graphic images, gory details and other online content that are inappropriate for kids. It's hard to know if they're watching the good stuff or the not-so-good stuff, and kids can be exposed to loads of inappropriate content. 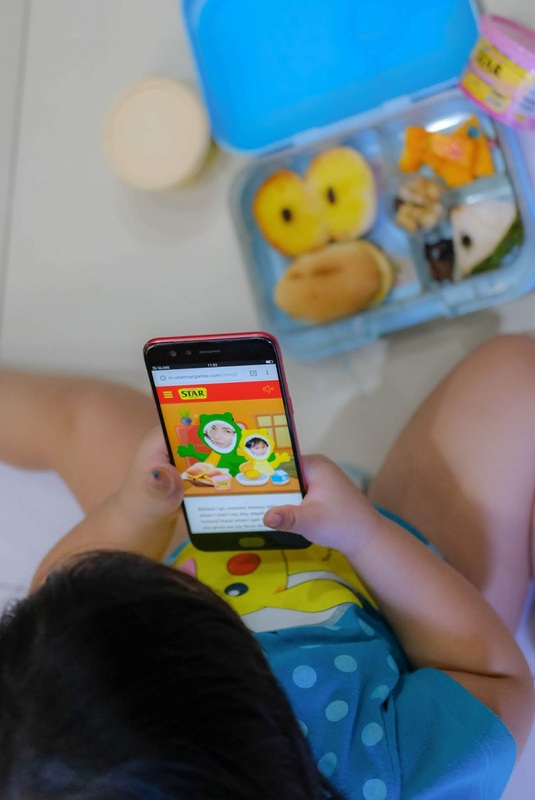 As for me, as much as I try to set limits on the time my kids spend online, I still allow them to use gadgets from time to time, as long as the websites let them learn and have fun in a safe and digital environment. Of course, parents with toddlers and preschoolers should always sit with kids this age when they're using gadgets. Best part? It's free! It doesn't require a paid subscription, and you won't see any ads. 4. More bonding time with your kids. It allows moms and kids to bond and interact in a way they haven’t before. Kids grow way too fast so take every possible opportunity to interact, learn and have fun with your kids. 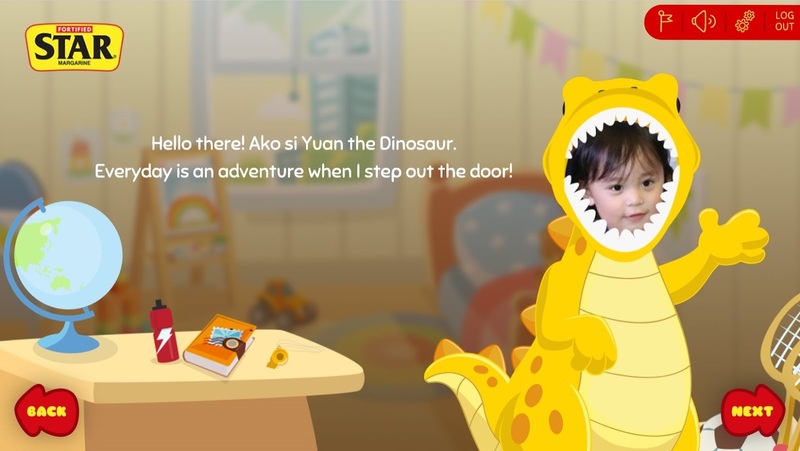 Overall, Star Margarine's Dino-riffic Story Book is an interesting website that makes reading a multisensory experience for kids. My kids are so excited to embark on a fun and exciting adventure while exploring and further improving their reading abilities. Most importantly, my STAR kid really enjoys being the star of his own story! Now that's a story worth sharing. For more information, visit the website https://starmargarine.com/ and like the Official Star Margarine Facebook Page, or look for #MyStarKidAdventure on social media.